DreamHack Montreal 2017 is one of the biggest BYOC gaming events of the year. It’s also one of the most varied with a range of activities for PC enthusiasts and anyone interested in technology generally. 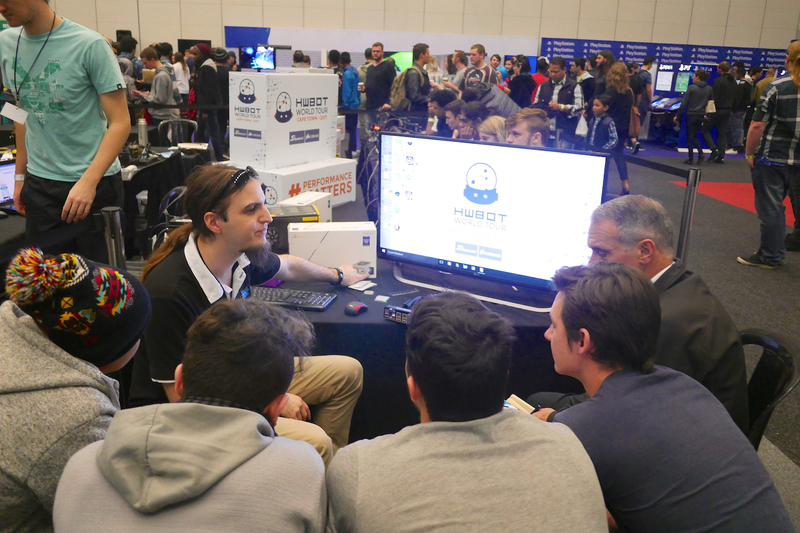 The Montreal 2017 leg of the HWBOT World Tour represents a great opportunity to give overclocking some excellent exposure to a massive group of N. America’s enthusiastic, young tech-oriented people. Overclocking Workshops – As ever the idea behind the event is to expose gamers and PC enthusiasts to the worlds of ambient, extreme and competitive overclocking. Held at the mythical Place Bonaventure at the heart of Montreal City, HWBOT will host Overclocking Workshops where attendees can enjoy a free tutorial from seasoned overclockers, then get hands on and try it for themselves. Workshop sessions will be free to all DreamHack attendees and will include a chance to compete in the Montreal 2017 Ambient contest. Overclocking Contests – What would a HWBOT World Tour event be without some genuine competitive overclocking action? The Montreal 2017 event will feature an Ambient contest where Rookies and newly trained amateurs can battle it out. There will also be some LN2 cooled subzero action in the form of the World Championship Montreal 2017 Qualifier contest. Overclockers Gathering – An Overclockers Gathering will also be setup as a place for overclockers to meet and enjoy overclocking together in a relaxed environment with unlimited LN2 provided. It’s a BYOC (Bring Your Own Computer) where you need to purchase an LN2 ticket (see below) to attend. No pressure. Just enjoy doing what you do best with like minded folk. Tickets and More Information – Tickets for the Montreal 2017 event are available here. You can also visit the Montreal 2017 event page here.